If you are familiar with my blog, you know that I am really interested in place, space, and architecture in literature. I've written previously about psychogeography and it is a subject that I love. Recently, walking around New York City, I thought a lot about psychogeography and exploring new urban spaces. Today's post has some tips for exploring a new city in a way that can help fuel your writing and make your settings more dynamic. The idea of exploring urban space is intimately tied into the principles behind psychogeography. Without retreading too much of the material covered in previous posts on psychogeography, it refers to "... the effect your environment has on your mind" (Kent). This concept was explored further by Guy Debord and the Situationists in the 1950s. Debord and his contemporaries would wander around Paris and take note of how the city made them feel (Kent). These drifts, or dérive, were about exploration of both city spaces and their own emotions. The first and most obvious tip is to actually wander around. Drift through the city however you want to. If I have the time to spare, I'll pick a neighborhood I want to explore as a starting point and just drift from there. Walking around can be a great way to get a sense of a neighborhood, how streets connect, and what the general feel of the neighborhood is. As a writer, I want to pick up on the little details, find the little quirks of a place. These are the details that make a place feel real. This isn't an option for everyone or every city, but if you have the chance, use the public transit! In New York, Boston, London, and Stockholm, I learned the cities best by figuring out how to navigate the subways. It can help you get to new parts of the city and also gives you a sense of how people actually travel that city. Each city has its own personality, its own distinct feel and how people travel is definitely a part of that. Having to take a crowded New York subway line is very different from sitting alone in your car in LA traffic. Though it seems unimportant, transit does help shape how we experience a city. If you love tourist traps, I'm not here to dissuade you. However, if you have a limited time in a city, I think you will have more fun and get a better sense of the city you are visiting if you avoid the tourist destinations. I usually explore first and save any tourist attractions for the end of my visit. Of course, if these places are integral to the stories you want to tell, go for it. But if I am writing a story about New Yorkers, you can bet I'm avoiding Times Square. One of the best parts of drifting around a city is finding hidden gems. I've found great restaurants, book stores, and cafés accidentally while wandering around a city. Honestly, those accidental finds have been some of my favorite discoveries. While it can definitely be fun to check out some of a city's famous spots, the places I've stumbled across on my own are often smaller, the kinds of places that locals frequent. It's these places that I think back to when writing about a city I haven't lived in. The hard truth is that if you set off to wander around a city, you are going to get lost. Today it is less of an issue, we all have GPS on our phones, but it can still happen. Usually, when I get lost in an unfamiliar city, I can get my bearings again if I wander long enough. If not, I've always been able to find someone to give me directions, whether that means asking a stranger on the street or a popping into a café. Sometimes, getting lost can be part of the fun. While you don't have to visit a place to use it as a setting for your story, you should definitely take advantage of any trips you do take. 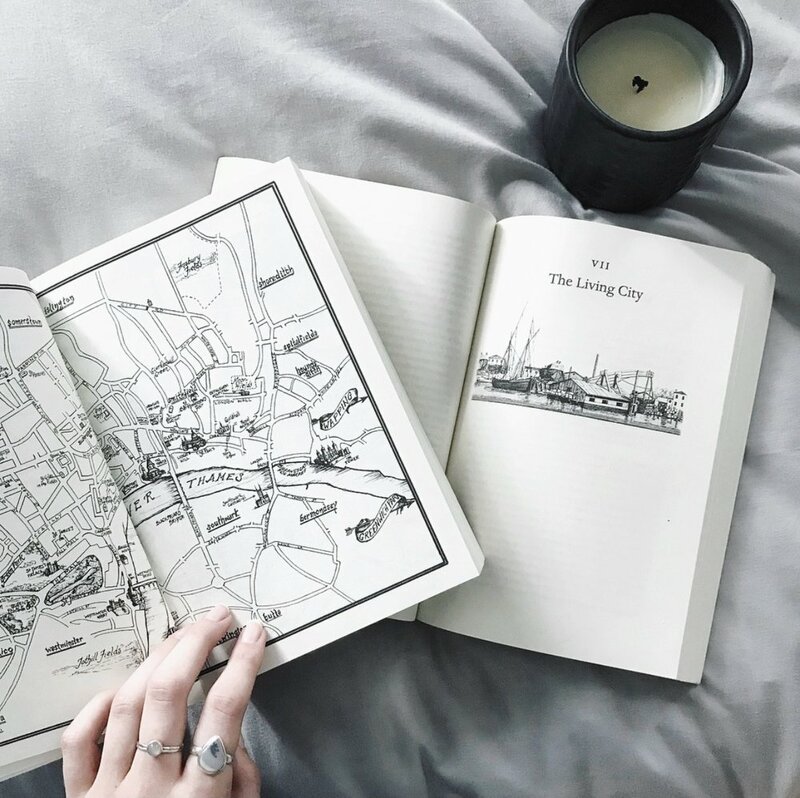 After a day of wandering around a city, getting lost, and finding new places, I try to write down what the city was like, how it made me feel, how I navigated around. All of this can be used to help build your settings into something deeper and more realistic, whether you are writing about a real city or an imagined one.